The holiday season brings excitement, nostalgic traditions and a plethora of social activities that tend to revolve around food consumption. For those who battle compulsive eating, the added stress of the holidays and abundance of food can trigger overeating. This often leads to embarrassment, guilt, depression and unwanted pounds. 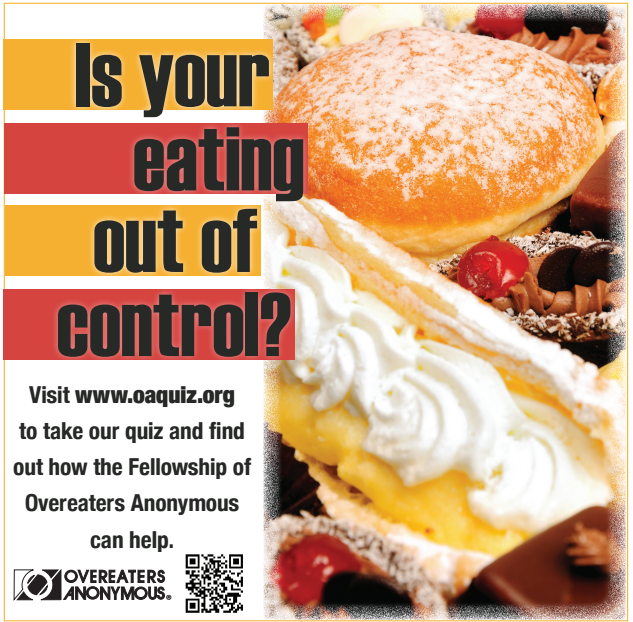 For individuals struggling with various food addictions, especially during the holidays, Overeaters Anonymous (OA) can provide much-needed support and a path to recovery. OA offers a 12-step program that addresses emotional, physical and spiritual well-being as a path to recovery.